1. Create a valid email address. 3. Choose a date and fill up the application form. 4. Verify your appointment by clicking the link sent to your email address. This is very important. If you don't verify your appointment and clicking the link, your appointment will be dropped. 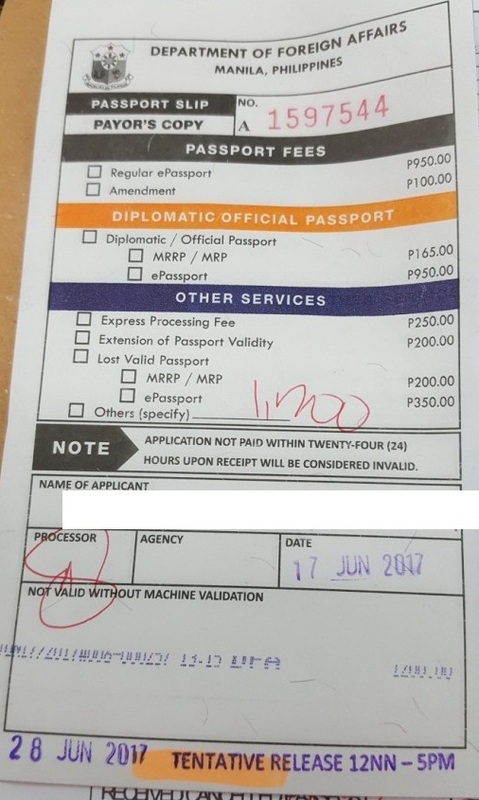 a. the old, expired or expiring passport. Download your application form from the link emailed to you, then print in A4 size paper. DO NOT SIGN THE APPLICATION FORM. The link will also include the printout of the date of your application. 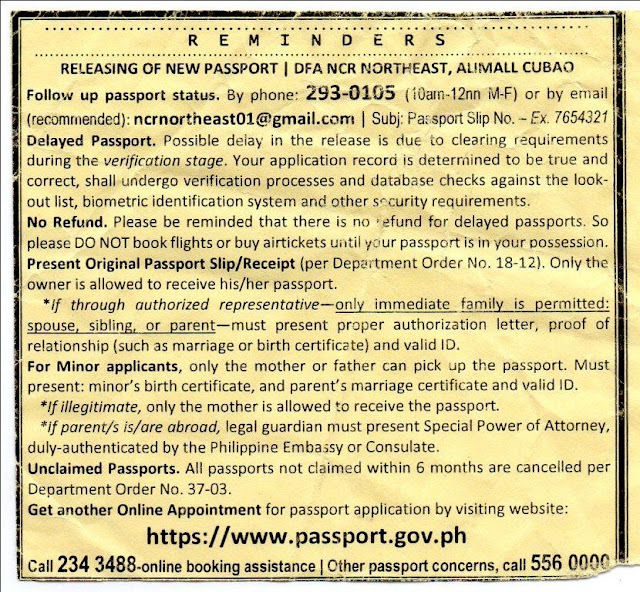 You will need to present this printout to gain entry to the DFA office on the date and time of your appointment. d. the xerox copy of the data page (where your information and picture can be found) of your passport. Dress properly. No sleeveless shirt/blouse. There are no instructions as to the dress code. 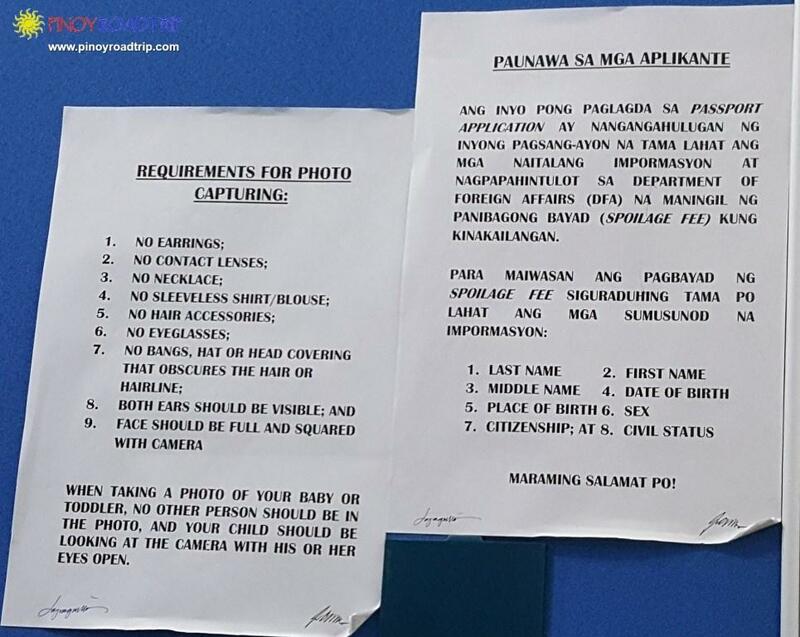 But the requirements for photo states there should be no sleeveless shirt/blouse. The instructions can be found at the encoding section. 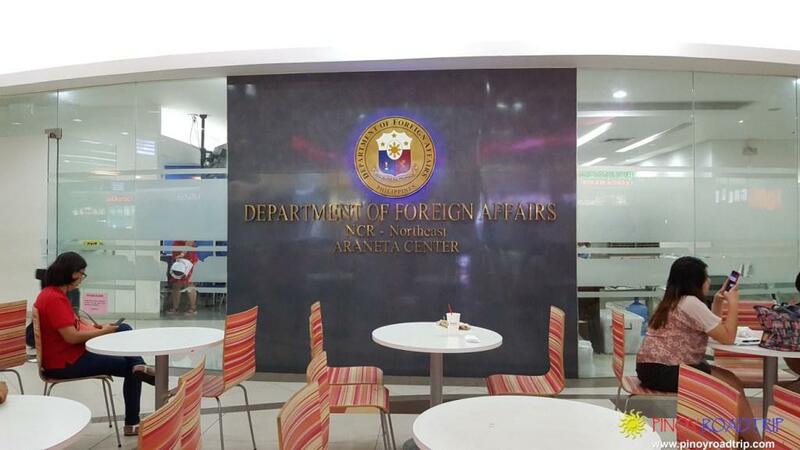 12:30 PM: Arrival at DFA Ali Mall. I presented my application form and printout of the date of my appointment. I was allowed to enter at once, even if my appointment is at 1:00 PM. 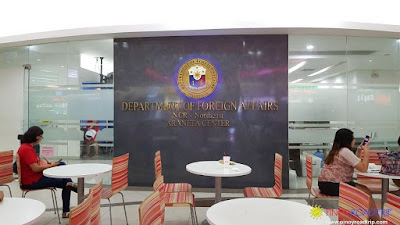 Evaluation: The DFA personnel reviewed my application form to find out if it's complete. 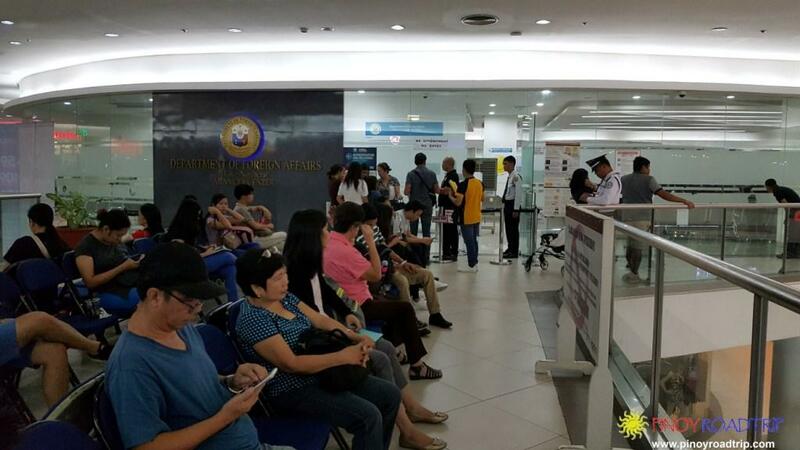 Signing: The DFA personnel verified my information and asked me to sign my application form. 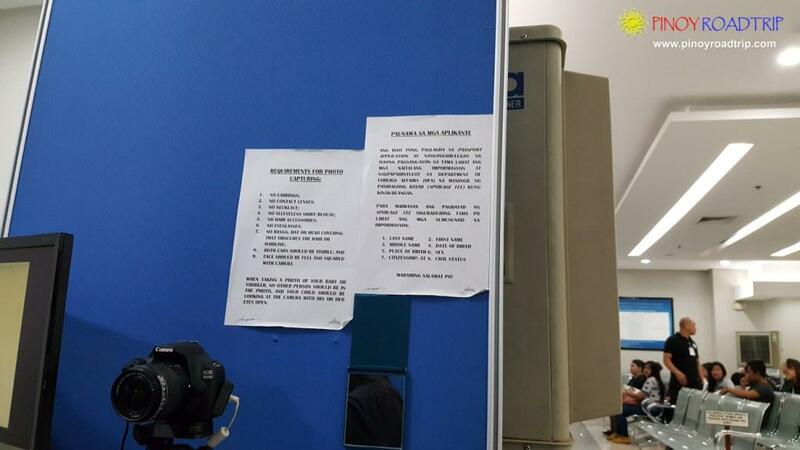 He also gives the receipt for presentation to the cashier for the payment of passport fee. Payment: I presented the receipt and paid 1,200 pesos. Only cash is accepted. 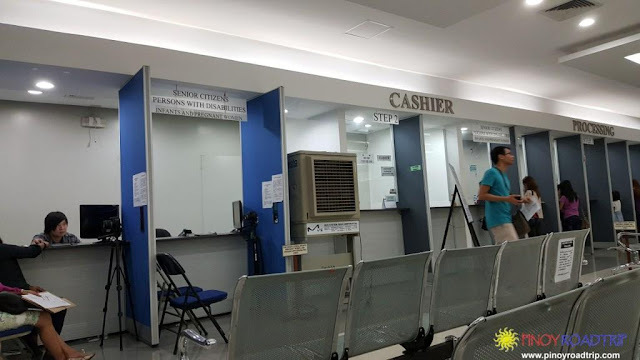 NOTE: If your appointment is on a Saturday, you pay 1,200 pesos rush processing fee. 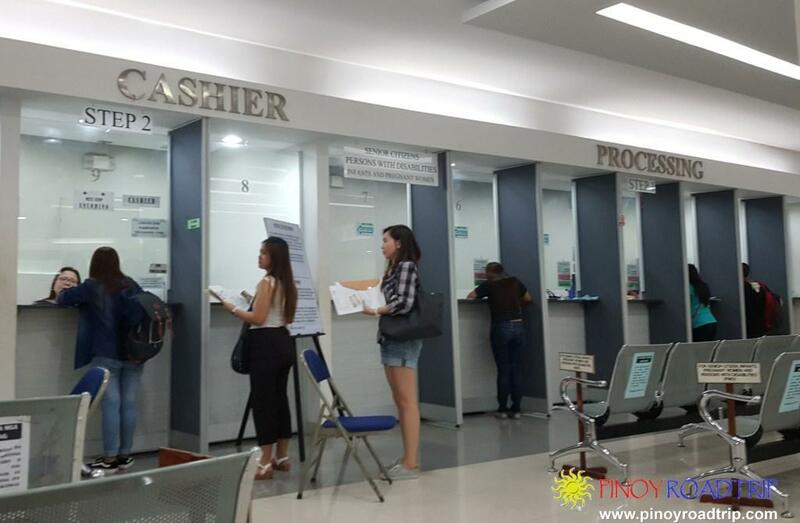 You cannot choose to pay the regular processing fee. minor children and pregnant women. This means they do not interfere with the regular line. there's a photocopy section and notary public available inside the DFA office. 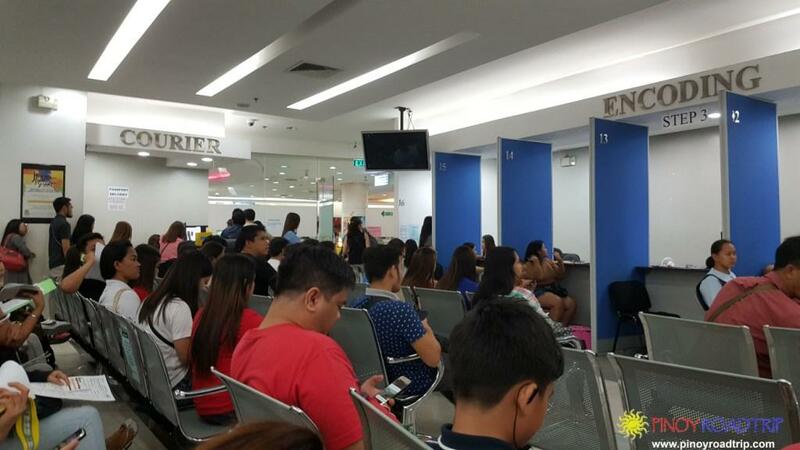 The waiting time is 30 minutes. 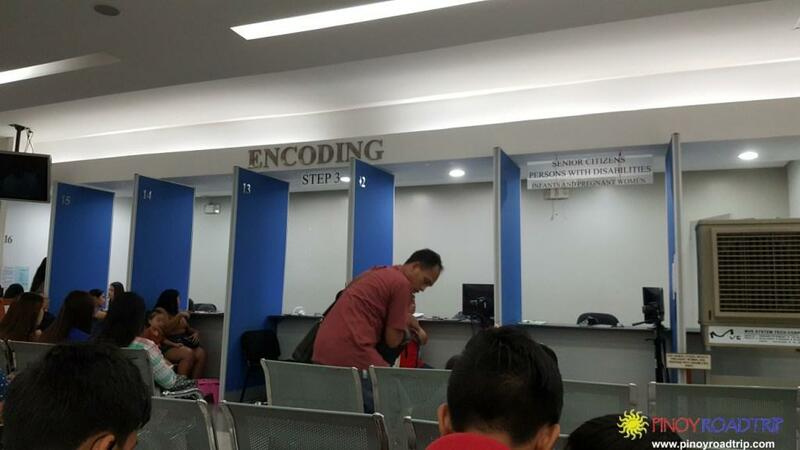 There are only 3 of the 6 encoding counters open. I'm presuming it's because it's lunchtime. When 1:00 PM arrived, other counters opened. This is the long line at encoding. Encoding and Data Capture: Taking of passport photo, finger printing of thumb and index finger, checking of accuracy of data encoded, signing. Average time for actual encoding is 4-5 minutes. There is also a special line at encoding for senior citizens, persons with disabilities, minor children and pregnant women. 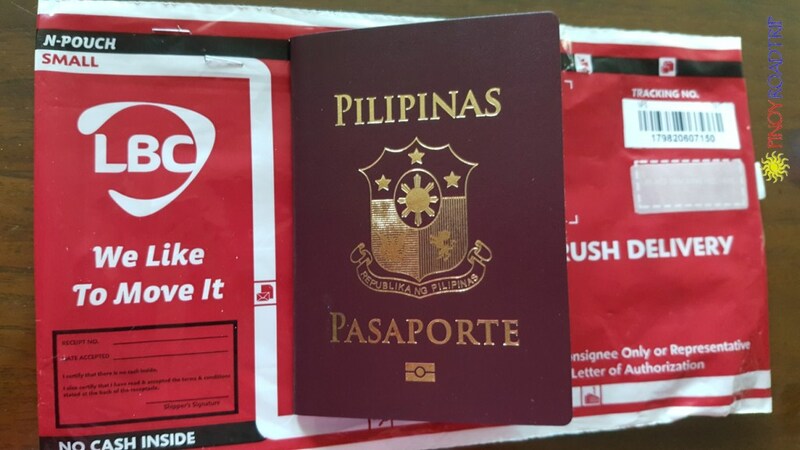 My tip: Have your new passport delivered by courier to save time and expense. Why? 1. The date indicated in your receipt is just a TENTATIVE DATE of release. 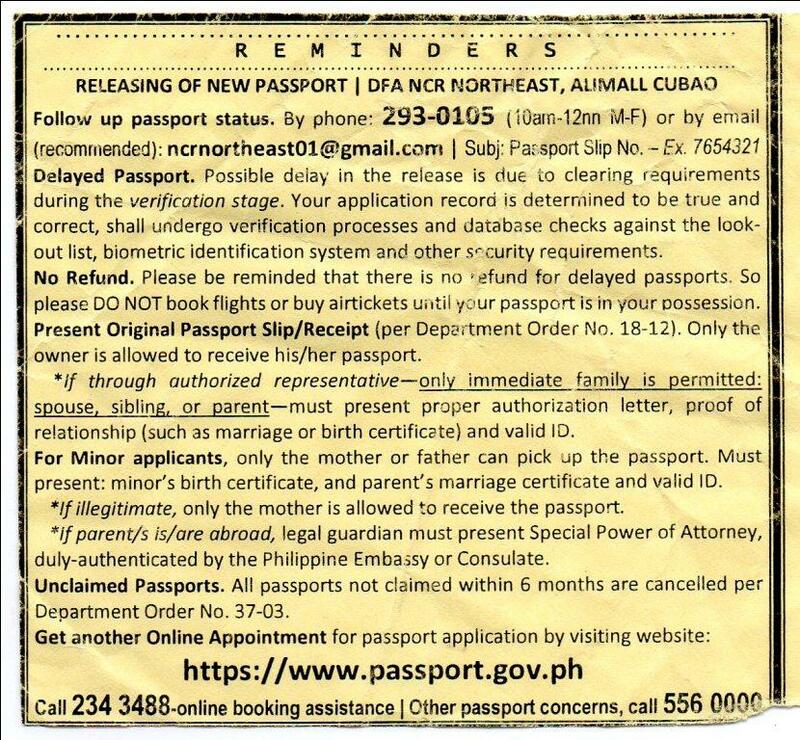 So if you arrive on the date indicated, you cannot be sure that your passport is ready for release. In my case, tentative date of release is after 7 working days. The receipt showing tentative date of release. 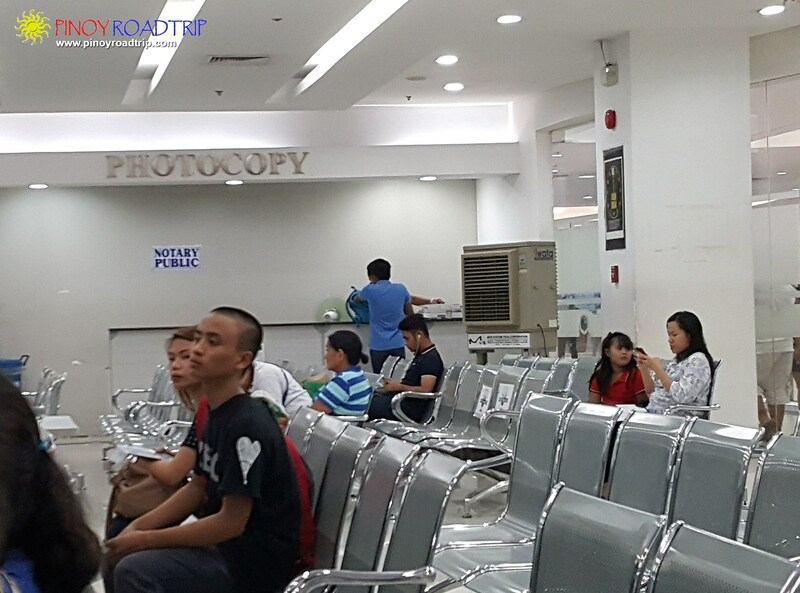 They make you sign a waiver, which means they cannot commit to the release of your passport on time. 2. Date of release is limited to weekdays, 12:00 PM - 5:00 PM. 3. The line at the releasing section is long. 4. 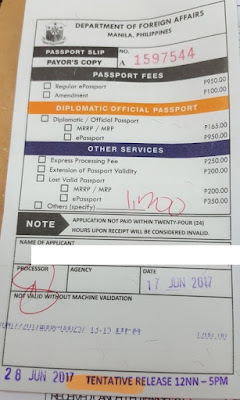 Courier fee is only 150 pesos. We were given this reminder after encoding. MY PASSPORT ARRIVED ON TIME!!! Check out my Post: Walk-In Passport Applications at the DFA: Is it Allowed? You can change on the day of the appointment. They ask you to verify the information you submit during encoding and data capture.